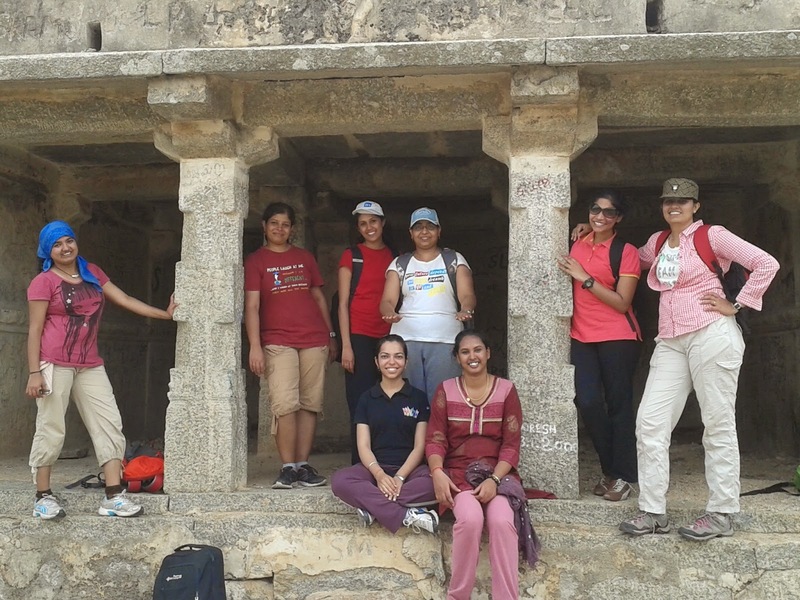 Home / BTC World of Women / BTC WOW / Madhugiri Fort / Madhugiri Hill / Trek to Madhugiri / Madhugiri Hills - A trek covered right on time! 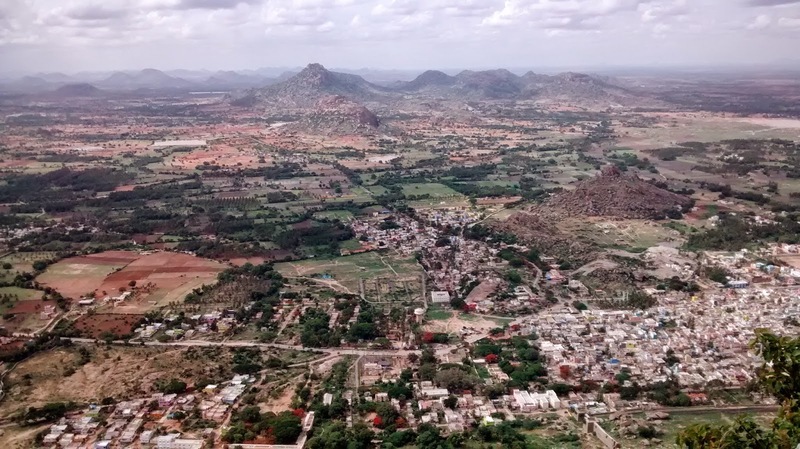 Madhugiri Hills - A trek covered right on time! Trek. Drama. Action! 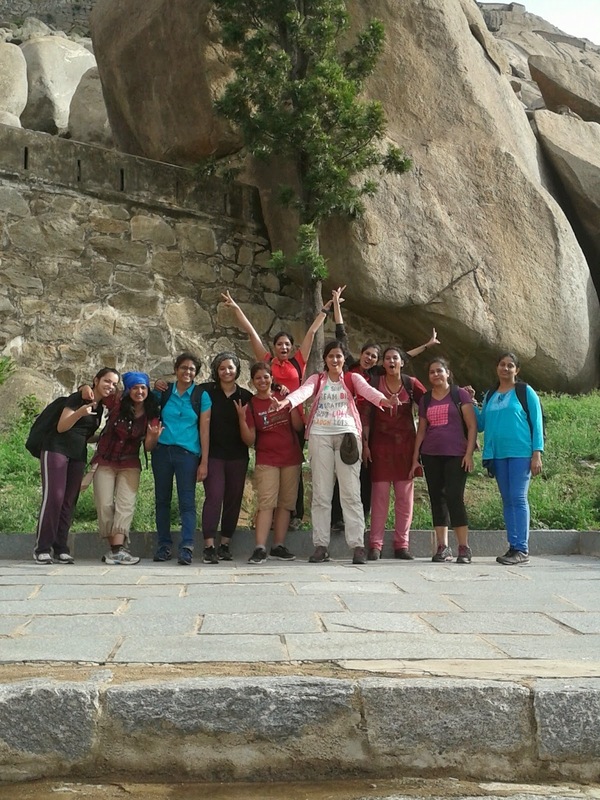 – an all-in-one package this event was – with a bunch of 12 enthusiastic women out on an adventurous spree to the Madhugiri Hills. 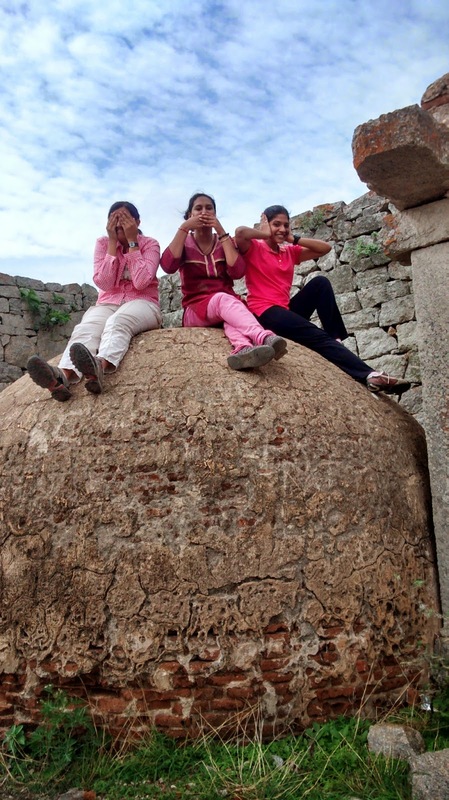 The 12 shortlisted girls (including organizers) gathered at the Shantala silk house at the specified time, and started out for the destination 'dot-on-time-at-7.00 am' (yeah…the participants did impress us with their sense of sharp timing! Kudos!). After picking up our Annadaatas (Asha n Shalini duo), we started our Introduction session. 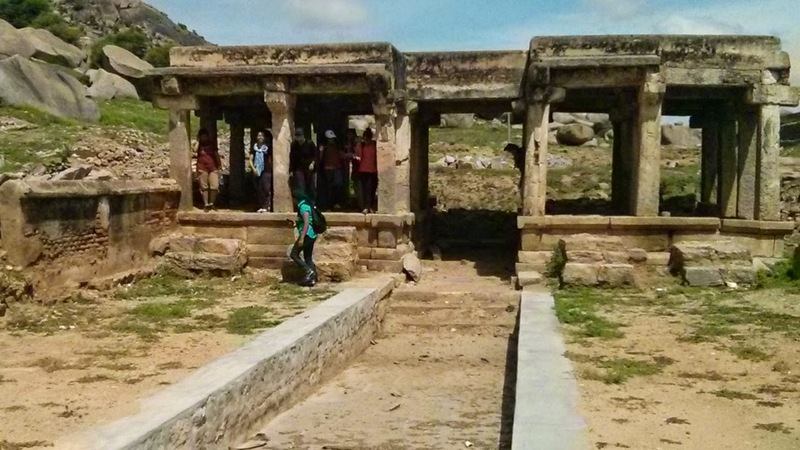 This time again, we had a mix of first-timers, and experienced trekkers – all equally excited about the trip. 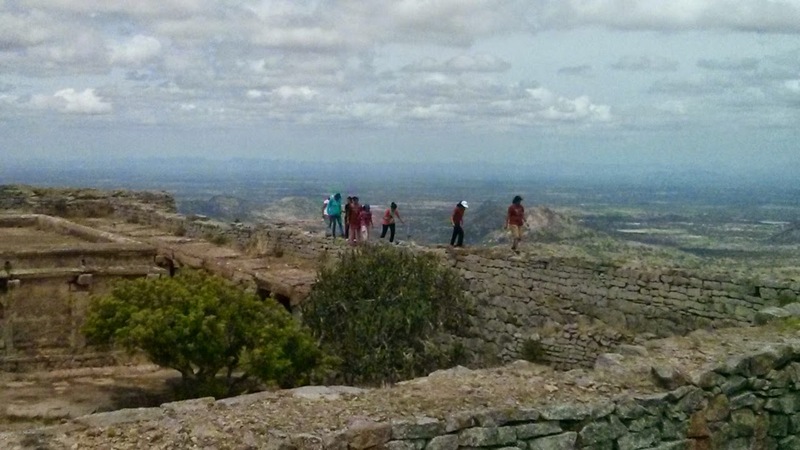 The intro round succeeded some gyaan sessions by Ritz and me – about the place, the trek level, and to the first-timers on how to handle themselves while trekking. Kept the gyaan session short-n-sweet (for obvious reasons:P), and then we shared stories on how Ritz and I had met as stranger-trekmates and happened to team-up for organizing a trek this day; Ritz 'king-kong-lady' title (this has a connection in the later part of the trek:P); our Annadaatas; Wow-ki-basanti-who-never-danced; and other WOW experiences that brought smiles to our participants faces. This was followed by a short dance session and then the ever-hilarious game of Dumb Charades. Post the breakfast, we started the climb at 10.30 am. The next half was when we had to pull up our socks – as organizers, as participants, and more importantly – as Trekkers! Surprisingly, with each others' support and a bit of hand-holding here and there, the girls cracked this stretch down more easily than expected! 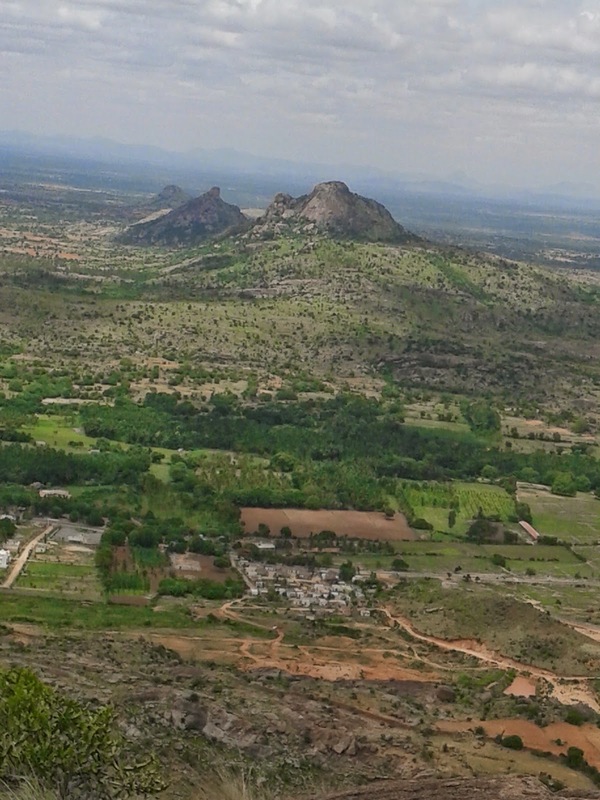 The scenic view and the hovering clouds played motivation factor for this stretch. Experts climbing everywhere they could! After lunch, we had another round of climbing-activity (well..I gave up..and tried my hands at photography, while Ritz took care of the climbers :P! 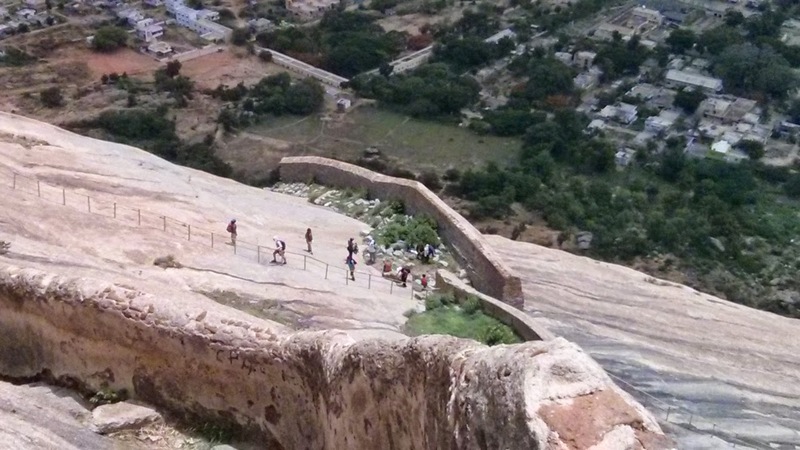 ), and then we started to descend. Again, with an awesome team effort, we descended the challenging stretch by applying techniques at certain places, and supporting each other. It started to get a bit cloudy, when we reached the steppy terrain. At a distance from our hill, we watched rains pouring down the civilization – a spectacular view it was! Just when we reached the stretch of the metal-railings, we realized that the rains that we were enjoying from the distance was actually approaching us – and throughout this steppy stretch – our trek turned into a de facto rain-trek :P [technically, my first ever rain-trek:P]. 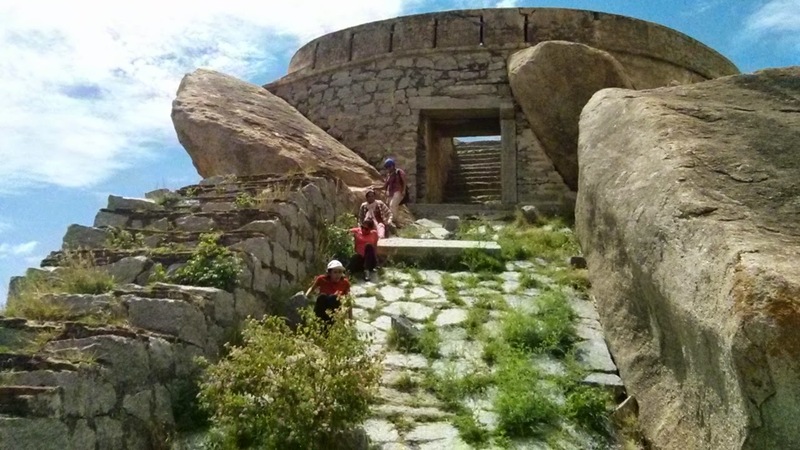 This added to our challenge, nevertheless, we faced it and, managed to descend down till one of the doorways all safe! Again surprisingly, the rains stopped exactly when we reached the end of the railings-area (which made our further descend more peaceful!) Met our annadaatas who were waiting for us at a doorway, and continued our further descend. Post all the thrill and adventure we had had throughout the day, the final stretch of descend felt rather peaceful! [it was truly like the Jab we met scene – 'hey bhagwan, ab life thodi si boring bana do:P'. But it did not last long. I was sweeping the team, when suddenly few girls stopped and remarked in chorus – 'Swatz..your story was right!' Well..the girls had really taken note of the 'king-kong-lady' story and giggled looking at Ritz and me when they spotted a bunch of monkeys preceeding us on the last stretch. 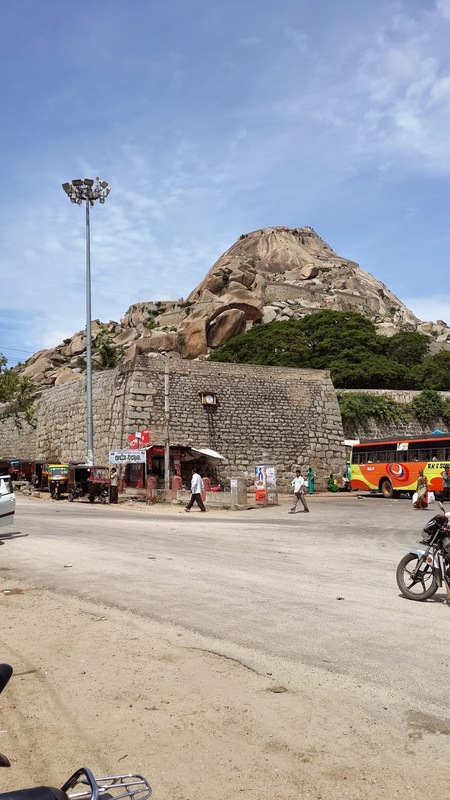 We had to wait, until the monkeys finally settled down at their adda (making a way for us to descend down) :P. Reached the base safe and sound, and explored an old 'us-zamaane-ka-jail' and headed out for chai. Finally, after completing the series of adventures, experiencing all the three climates in a single day, we took our much deserved chai-break. Quickly, we wound up and got into our TT for the return journey. With whatever energy we were left with, we took the Feedback session (and re-named 'thumbs up' to 'Facebook-Like' impressed by the comments that we got :P) and settled down our seats for a nap. This time again, I was the first one to get down on the way. With a promise of meeting in some other trek, some other time, got down from the TT and took my way to my abode. A Special mention to Asha-Shalini duo for being an awesome sport and as usual our annadaatas J WOW is all about knowing yourself, your confidence, and making the right decisions! Hats off! Well…and..this post cannot be complete without thanking our BTC Team for having believed in us on orgainizing this event! P.C: Ritz, Shaily, and self!